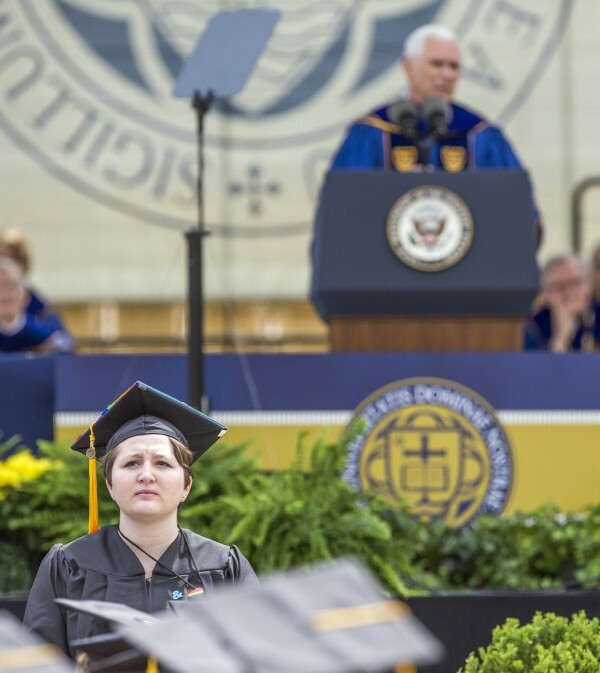 Dozens of students and their family members have walked out of their graduating ceremony in protest as US vice-president Mike Pence took to the podium to speak. Pence was giving the commencement speech at the University of Notre Dame in his home state of Indiana. Local news reported that about 150 people in total walked out of Pence’s speech and they said it was President Donald Trump’s policies which caused the protest. Student Cassandro Dimaro told the South Bend Tribune that the walkout was a sign of solidarity “for those of us impacted by the policies of the Trump administration as well as the rhetoric the Trump administration has used”. The walkout was planned and although he didn’t specifically acknowledge it, the vice-president’s speech suggested he knew it was coming. 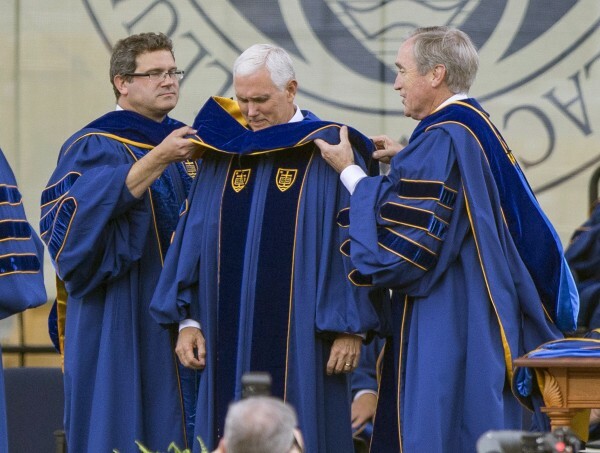 “Notre Dame is a campus where deliberation is welcomed, where opposing views are debated, and where every speaker, no matter how unpopular or unfashionable, is afforded the right to air their views in the open for all to hear,” Pence, the former governor of Indiana, told the crowd. Earlier in the ceremony, Caleb Joshua Pine – the student who provided the valedictory speech – urged a “stand against the scapegoating of Muslims” and criticised Trump’s push to build a wall along the US border with Mexico. By contrast, Pence spoke warmly of the president, complimenting his speech to the leaders of 50 Arab and Muslim nations earlier in the day on the president’s state visit to Saudi Arabia. Pence said Trump’s speech “spoke out against religious persecution of all people of all faiths and on the world stage he condemned, in his words, the murder of innocent Muslims, the oppression of women, the persecution of Jews and the slaughter of Christians”. 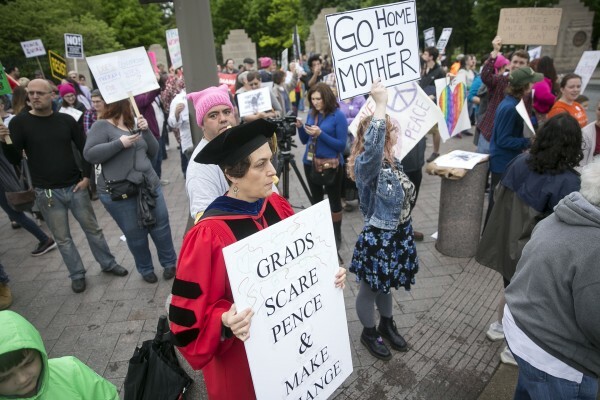 The action group behind Sunday’s demonstration, named WalkOutND, said it had intended to take back the graduation ceremony, and “show our dissatisfaction with the University’s selection of Mike Pence as honoured speaker”. A YouTube video linked to the campaign’s Facebook shows students explaining their own reasons why they were taking the stand.